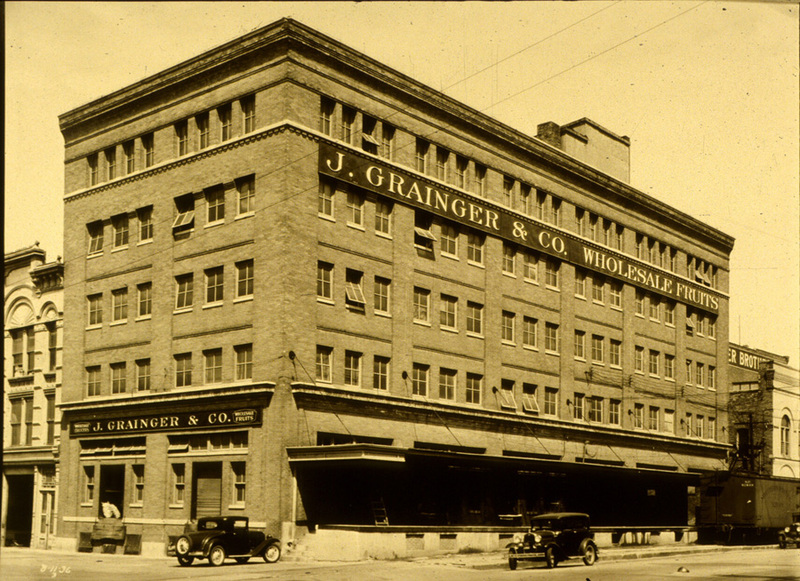 Architect Fiske designed this building in 1912, six years after construction of the Grainger warehouse at 733-737 P Street. Not only was the same architect involved in both, but also the same contractor, Charles Olson, and the same estimated cost, $40,000. Structurally, the two warehouses marked a major shift in construction methods, as the older building has an interior structure of heavy timbers, while the 1912 building employs reinforced concrete throughout. When the south structure was completed, the Grainger complex had a combined floor space of 109,600 square feet with an entire block of railroad siding along the North 8th Street frontage. Although the Graingers' 1906 and 1912 warehouses are very similar in size, the latter version appears much larger and more conspicuous, due to its corner location and long, covered loading dock on 8th Street. The design of its principal facades is closely related to 733-737 P Street, but the 1912 building uses a wider, three-window bay as its basic unit. Fiske’s design avoided a busy or choppy effect on the long P Street facade, which the narrow, two-window bay he employed in 1906 might have created. The company also considered replacing the former Tremont House at 8th and P with a third similar warehouse, but that scheme was not executed. 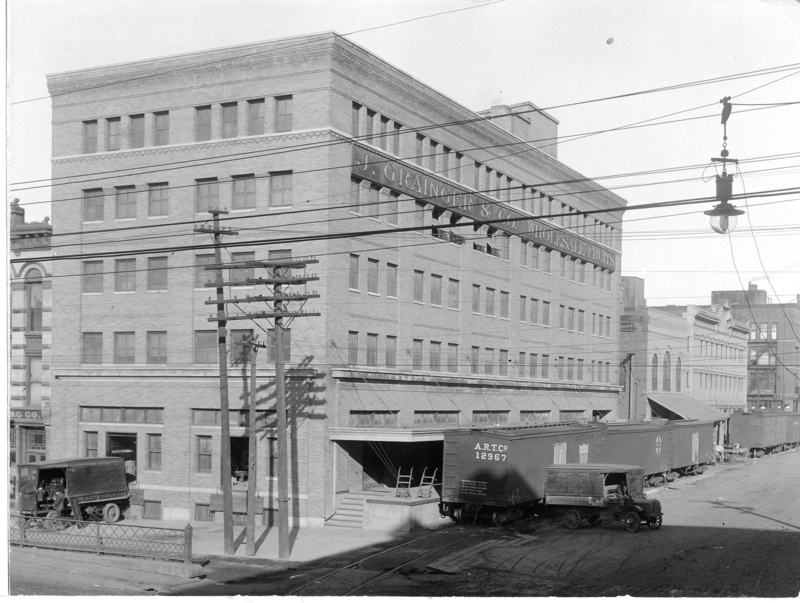 The 1912 warehouse was used by the fruit department of the business. An original sign for the business has been maintained above the first story on the south façade of the building.